A stable, accessible core means so much more than just six-pack abs. When healthy and balanced, it can provide physical, emotional, visceral, and even psycho-spiritual support. In this week-long immersion, we’ll explore this deep part of ourselves through both subtle and dynamic work in a variety of playful and unexpected ways. Attend one or all 5 classes!! 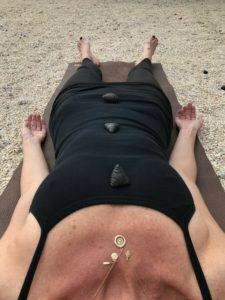 During her time on Orcas, Jyl, 500 ERYT & LMT will be available for private yoga sessions as well as sessions that combine somatic movement (or private yoga) with craniosacral therapy and visceral manipulation.